I’ve always felt lucky to live in the Inland Northwest. For my outdoor adventure lifestyle, this area rocks. It has most everything I enjoy doing at my backdoor; plus it’s the gateway to the interior of British Columbia. Over 20 years ago, I was introduced to the world-renowned Canadian powder on a heli-ski trip to Selkirk Tangiers in Revelstoke, B.C. Don’t get me wrong: We get plenty of good powder around these parts and, a majority of the time, it’s damn good. But it was that one defining day, 20 some years back, on a snow-covered peak in the Canadian Monashees, that I knew I’d reached a point of no return. That moment sparked a ritual of getting after it in Canada year after year. That being said, here are two must-do Canada ski trips that take you right into the heart of B.C. If you like adventures and bagging 3,000 vertical feet of mind-blowing powder runs, then Selkirk Lodge could be for you. Warning: This won’t be your normal ski trip. 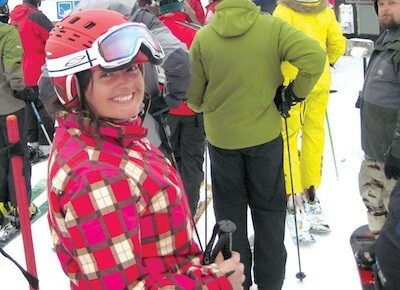 It is highly recommended that you are an intermediate/advanced skier and you are in good physical shape. This is for the pure backcountry mountain enthusiast, because you’re going to be earning your turns. What I mean by that: You secure climbing skins to the bottom of your skis or splitboard, and you access the terrain by good old human power. You will climb and ski through some of the most incredible scenery ever, including serac fields, glaciers and alpine bowls. I recommend using lightweight randonee or alpine touring gear. The skis are typically lighter, and the bindings have a heel release to make climbing to the top of the peaks easier. Once you’ve made it to the top, and it’s time to reap the reward, all you do is lock the binding heel into place and ski it like you normally would in an alpine set-up. 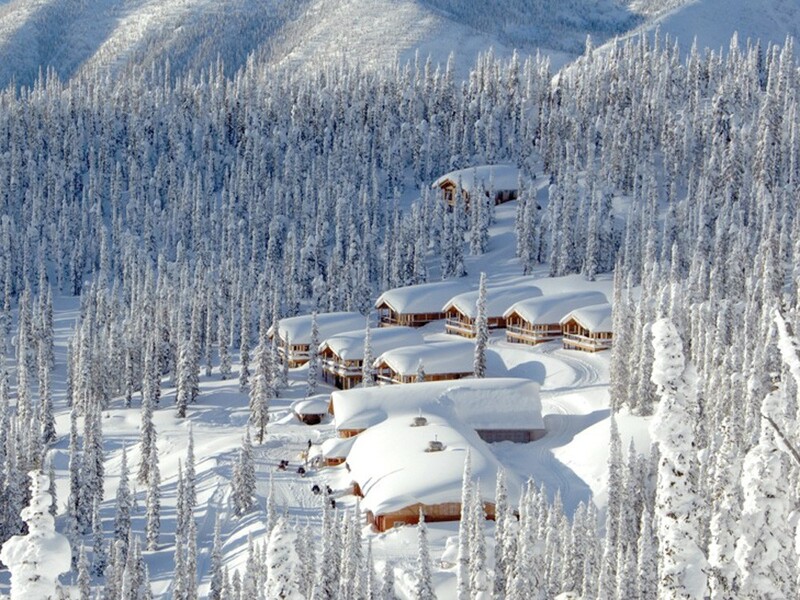 Selkirk Lodge sits at 7,200 feet in the Albert Icefield, between Revelstoke and Golden, B.C. To access the lodge, you have to fly in by helicopter, with your gear and 12 close friends. No matter which way you look, the views are incredible, and the best part about the location is that you’re skiing right from the doorstep! Owner Grania Devine has been running Selkirk Lodge for 25 years. During that time, she has continued to improve the lodge. The lodge can handle 12 guests and is complete with sauna, indoor plumbing, several bedrooms with down duvets, a hot shower, 12-volt solar-powered electric lights, and Internet. Grania and her staff prepare all the meals; she likes to use the bacon alarm to rally the troops each morning. Selkirk lodge’s terrain has a nice mixture of alpine bowls and gladed trees. It’s not uncommon to get vertical ranging from 3,000 to 4,000 vertical feet in one run. You may be tired after a week of paradise, but you’ll never get tired of the conditions. If it happens to be a snowy day, when visibility is limited in the open bowls, then drop right below the hut into some of the best tree skiing you could ever hope for. I still remember running through the trees on a trail named “Marten” like it was yesterday. It was that good. At the end of each day’s skiing, you’re greeted in the lodge with the sweet smells of the evening meal and a few apres snacks to hold you over until dinner time. After your week at Selkirk Lodge, you’re going to come away with a huge sense of accomplishment and memories to last a lifetime. So you fly in by heli, you ride endless untracked terrain for days, and you get to hang in a sweet timberframe lodge each day. What’s not to like about cat skiing? Baldface’s owner/operator, Jeff Pensiero, is a ripping snowboarder who lives and breathes deep-powder adventure. For that reason, Jeff is all about giving his guests an over-the-top experience, from start to finish. Baldface sits northwest of Nelson, B.C., in the Selkirk range, and it’s only three hours from Spokane. You arrive at the mountaintop timberfame lodge via a short, seven-minute heli ride. This will be your base for the next few days as you ride the famous “Kootenay Cold Smoke” on Baldface’s 32,000 skiable acres, which consist of everything from open bowls to steep tree skiing. The 6,000-square-foot lodge is set up with all the amenities you need for an incredible stay, including massage therapy, a fully stocked bar, and a culinary team that rivals the finest restaurants in any big city. They care for their guests, with gourmet meals and good-sized portions to refuel your body for your next day in Nirvana. Lodging has undergone a change with the addition of a new 12,000-square-foot building with 10 rooms and three suites. This is in addition to the existing seven chalets, all of which are off the hook. After skiing, you can sit back and chill at the lodge bar for some apres and swap ski stories with the other guests. This time, though, you’ll have actual proof of your venture into the “White Room,” because the Baldface staff photographer who followed your group around earlier in the day has put together a professionally edited slideshow of your epic session. If you love skiing powder and you have never cat skied before, Baldface is something you have to experience at least once in your lifetime. Trust me.